A bit late on the BC Travel Tuesday entry today but it’s another great getaway, to a familiar location. In case you’re just tuning into the series, we’re now 8 weeks into the 12 week series that is showcasing some of BC’s best accommodations and destinations. The winner of BC Travel Tuesday: Week 7 Painter’s Lodge Campbell River is Renfrew (and they have been notified by email). This week’s property is also located on Vancouver Island as we head back to Victoria. John and I stayed there during our last trip over for WordCamp and the views couldn’t be beat. 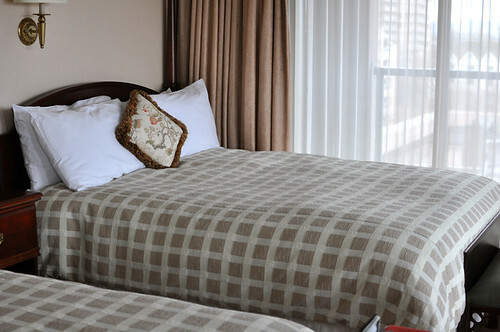 Prize: 2 nights in a Pacific Room overlooking Victoria’s Inner Harbour, complimentary parking, access to high speed internet and contemporary West Coast Tea for 2. Update The winner is Tamara! Love Victoria. Would love a weekend away there. Having afternoon tea is a Victoria tradition! Looks lovely! And tea too! I’ve never stayed there, but I have been to their workout facility and have taken a yoga class. Their facilities are top-notch, it’s a wonderful hotel. Victoria’s inner harbour area has everything you might want for a weekend away. A great excuse to visit Victoria! Article on dining at The Mark is in the latest copy of Boulevard Magazine (http://www.victoriaboulevard.com/read-boulevard/online-publication-link/). Would love to stay here as a treat even though I am a Victoria resident. my husband and i had our honeymoon in Victoria…it’s our 10 year anniversary this year – would love to surprise him with a trip back. My husband and I would love to visit Victoria again. The Hotel Grand Pacific sounds like a wonderful place to stay. Would love to visit Victoria again. Victoria is a great mini getaway! love it there, there is so much to do and see! Great time of the year to visit the island! I would love a get away to Victoria. We stayed here last year and really enjoyed it. You can’t beat the location as it’s central to everything. I’ve never been to the Queen city before. Hook it up! I’ve never stayed here before and it looks great! I desperately need a weekend away and love visiting the island! There’s no better place for a weekend getaway! I have never explored Victoria and I’m born in Vancouver. This would be a great weekend getaway! I really want to win this! I would like to go to Victoria and check out the sites. Fantastic weekender. I haven’t been to The Island in a long time and would love to win. Great opportunity to get back to the Island. Victoria is a great place to visit, especially during the spring or summer. I stayed there when they first opened and would love to go back! Would love to win this for my parents, who will be visiting us – in our tiny townhouse – for a month this summer! Wow, that looks a treat. Looks like this would be a wonderful getaway! Love it! I’d love a chance to have a weekend getaway to Victoria!!! I have stayed at this hotel, it is amazing and a great location in beautiful Victoria!!! West Coast Tea for 2 would be grand and lovely especially in the Queen’s city. I love taking the ferry over to Victoria. It would be awesome if my mom and I could stay here for our next trip. I miss Victoria, I would LOVE to win this. I’ve never been for tea in Victoria. I can imagine myself there with that warm setting sun. Like to find a spa there. OH wow… what an incredible prize to be won! Never been but would love to win. Victoria is beautiful in the summer. I did the 8k run last October (part of the Victoria Marathon) and had a great time with friends being at a hotel right in the city! I would love an excuse to take off to Victoria for a weekend! I would love to spend time exploring Victoria! Victoria is a fantastic city. I love having a holiday there. Time to visit my nephews! I currently live in Victoria, but a vacation in my own city would be amazing! More places to stay that I want to try and win! I’d love to win the trip to Victoria. I want to go to the Provincial Museum again. I heard that the hotel is better than the Empress. That looks lovely. I’d love to go to Victoria!! Another awesome contest! Great job Rebecca! I would love a stay in Victoria. Looks beautiful, would love a retreat! Beautiful looking hotel and I am curious about the West Coast tea for two. I love tea and it sounds very British. 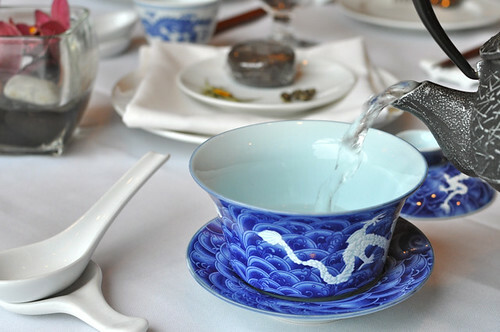 West Coast tea at the Grand Pacific would be an amazing prize! My sister is visiting from Hong Kong soon and I would love to take her to beautiful Victoria! We haven’t been there together since we were kids! Oh man…could I ever use some time away! would love a change to visit with Vic family and friends! Thanks to Grand Pacific for a wonderful prize and you for the great blog! Victoria is one of my favourite spots…this looks great! We would love to visit friends in Victoria again! Havent been to Victoria in so long cause its too expensive. Id love to go! ooohh **fingers crossed*** i’m oddly enough planning a trip to Victoria in 3 weeks! Just need a place to stay! I love Victoria! OMGOODNESS. Been to Victoria once. The beautiful capital of our Province! I’d be blessed to go!!! Never been to Victoria before. Will be nice if I win. Haven’t been in such a long time. Would love to explore it with my husband! It would be nice to get to Victoria again. The fitness room there is the best I’ve ever seen in a hotel. Victoria is a charming city. Full of history and great restaurants. Ooo would love to stay at this hotel, it looks beautiful and has so much history. Plus I wouldn’t be able to resist Victoria’s Butchart Gardens. Is it my turn? would love to spend some time in Vic! Would love to go to Victoria. Would love to head over to The Island. The. Weekend getaway in Victoria = awesome! All these packages seem pretty amazing. The hotel looks absolutely luxurious, what a treat it would be to stay there. I would so fit in here! Victoria is one of my favorite places to visit! I haven’t been to Victoria in ages, would love to go there again! I always try to copy the Victoria hanging flower baskets, (without success). I would love to have this hotel gift. I stopped going to the Island when the ferries became so expensive. Victoria get away would be great!! I stayed at the Grand Pacific many many years ago while on a business trip. Just like you commented, Rebecca, it is a gorgeous property with great views of the Victoria inner harbour. Would love the opportunity to go visit this property again. haven’t been to Victoria in a while, would love to go back! Heading there soon to meet my new cousin, staying here would be deluxe! Would love to go there! Would be an absolute dream! this is a great prize! fingers crossed! Thanks for posting this contest. I’d love to go with my sweetheart. Oh beautiful, I would so enjoy this! ohhhh i would love this!!! I haven’t been in Victoria for years so would love to go. was it reno-ed at all? would love to go. i’d love to visit victoria again after this semester. gotta stay over this time! Would absolutely love to go for a getaway to Victoria! In the past year, I have really developed a love for tea also. This would be so cool to give to parents for their wedding anniversary! Definitely need to see more of BC. Been here for a year and a half, and haven’t seen nearly enough! would love to visit here on my next Island vacation! Fine cuisine, high tea and wine. Deliciously classy. Hooray, I love Victoria, especially in the summer time! I LOVE LOVE LOVE Victoria! Hope I win!!! Would love a chance to take my Mom here! We were supposed to go there about a month ago, but had to cancel due to illness 🙁 . It would be a grand weekend in Victoria if we won this prize! I totally need a weekend away! Victoria is a terrific weekend destination and the inner harbour a perfect location to take it all in! Victoria is one of the most relaxing places in the world, I can feel its effect even on the ferry ride over. It’s a world class destination, with such a laid back feel, amazing restaurants, breathtaking views, and lots of attractions to keep busy. I have terrific memories of my visits there and can’t wait for my next trip! I could for sure use this weekend away! I hope I win, thanks in advance! Victoria is beautiful in the summer! Wow wow wow; what a treat this would be! Would love to treat the bf to this after the west coast trail!! All your hotel giveaway locations are amazing! Would love to visit the Island to check out some of the markets! Mmm, a lovely hotel stay followed by breakfast at John’s Place, a pub afternoon/vollyball tourney @ the Stickey Wicket and then dinner at Pagliacci’s! Perfect! This could be a perfect opportunity to take a rest from my busy hectic life. Went to UVic; would love to visit victoria haven’s been for about a year! wow – we would love this! Hope I’m not too late to enter! Would love to win this for our 1st anniversary next month. Thank you.